Freecharge is offering Rs. 30 cashback on Rs. 50 Jio Recharge (Old Users) and 100% cashback on Rs. 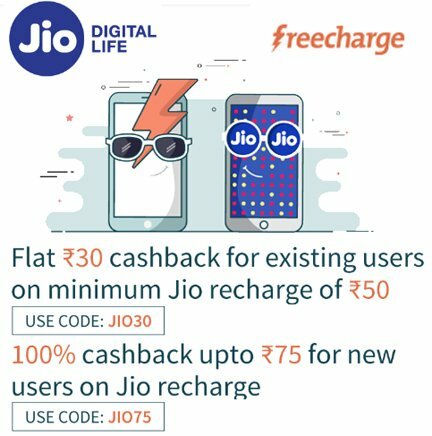 75 Jio Recharge (New Users), so grab it today!